We have some great news waiting for you in October 2017! Goodbye summer, hello free spins on the latest video slots powered by Netent, Yggdrasil Gaming and more. On the 12th of October 2017 Netent will release Blood Suckers™ 2 a fantastic remake with high quality graphics and an abundance of game features! Netent will also release a blockbuster video slot in association with 20th Century Fox Planet of the Apes™! Yggdrasil Gaming will release an ideal slot for Halloween lovers called Pumpkin Smash! 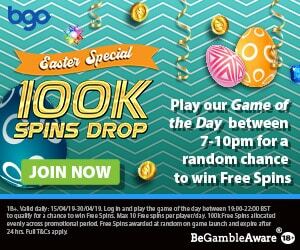 50 No Deposit Free Spins at Casino Room! 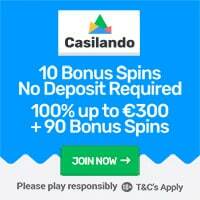 Casino Room will great you with 10 no deposit free spins for 5 consecutive days that can be played on one of the following Netent video slots Butterfly Staxx, Twin Spin, Gonzo’s Quest, Aloha! Cluster Pays, Joker Pro, Jackpot 6000, Guns n Roses, Jack and the Beanstalk, Pyramid – Quest for Immortality and Dazzle Me. Get a match deposit bonus on your first 5 deposits. Please read the casino review for further information as the welcome package varies from one Country to another! Click here to join Casino Room! 20 Free Spins on Starburst on Registration! Dunder Casino is offering a great welcome package for casino players. Start with 20 no deposit free spins on the popular Netent slot Starburst! 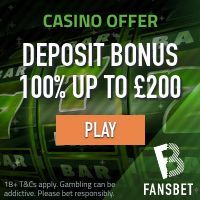 Get a match deposit bonus on your first 4 deposits plus free spins worth £/€600 + 180 free spins! The wagering requirement of the no deposit free spins and match deposit bonus is set to 25 times. Join Dunder Casino, claim your free spins on Starburst! Please note that terms and conditions apply and may vary from one casino offer to another!